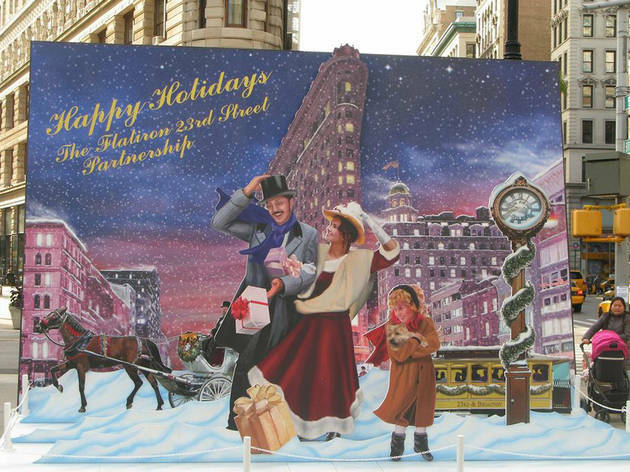 23rd St between Broadway and Fifth Ave. For the second year, holiday shoppers can stop by Flatiron Plaza for one festive activity for each day. The fun generally begins around noon, but be sure to check the website for the complete schedule. Look out for special events like performances by the Peoples Improv Theater (12/13) and the New York Theatre Ballet (12/14), caroling with TADA! 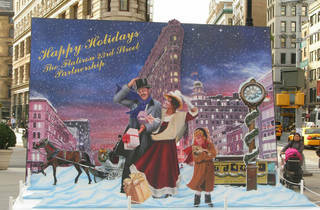 (12/15), the Ugliest Sweater Competition (12/10) and complimentary gift-wrapping (12/20–21). From December 6 to 8, expect activities just for the little ones, like a character appearance of the cat from Nick Bruel's bestseller, Bad Kitty (12/6), face painting and balloon-twisting (12/7) and holiday card designing (12/8). On Thursdays from 9am to 5pm, families can spread the spirit by bringing nonperishable items for a food drive. All ages.